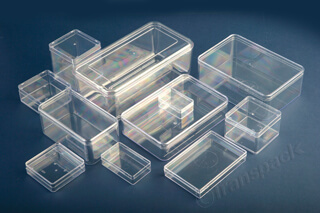 Present your products in their best light with our range of crystal clear presentation boxes used for artifacts, product display and our sealfresh food containers can also used by laboratories for samples. Our clear polystyrene presentation boxes have been designed to show off your products from every angle. These boxes are commonly used in gift shops to present products and in museums to allow people to view pieces without the risks that handling the items could normally present. Our lidded food containers are clear sided to help you and your customers identify food quickly, and are fridge, freezer and dishwasher safe for convenience. The food boxes will keep your food fresh for longer and help you to avoid cross-contamination between different products. 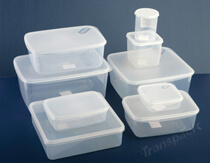 They are easy to open and close but without compromising on a secure fit to keep your products safe. These display and food boxes are even used for biological and archaeological samples.